A Titch-less Hawthorn presents opportunities for one hard working midfielder and first in line is the blonde bombshell James Worpel. As an avid Fantasy coach, I scribble a watchlist at the end of each season in preparation for the following year and one of the first names I wrote at the end of 2018 was James Worpel. Keep in mind that this was when I thought he’d be available solely as a midfielder and have Titch by his side! Titch breaks his leg, Hawthorn are down an inside mid. 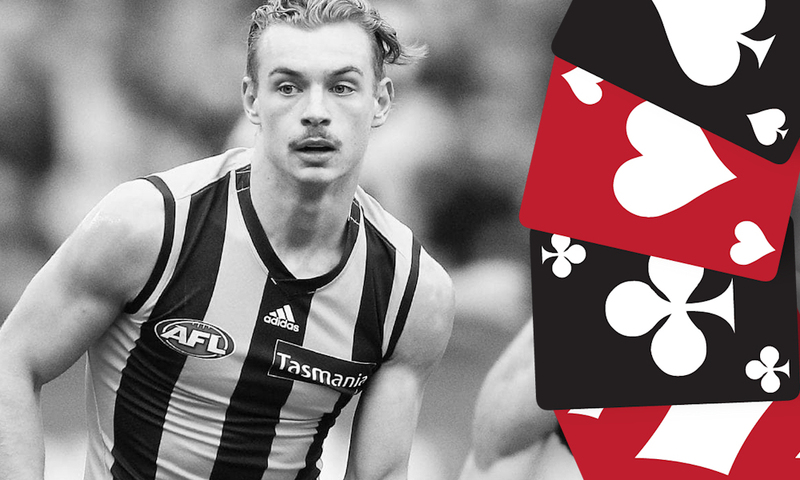 Hawthorn Fantasy prices were revealed and Worpel is a dual position forward / mid (insert hallelujah emoji here)! So, we’ve got a Fantasy forward at our peril that will play in the core of the Hawks midfield with no job security concerns! What will he score? Worpel’s initiation into AFL ranks saw him return scores of just 49, 27 and 41. From Rounds 18 to 23 however, he came of age, having the most possessions at Hawthorn behind Tom Mitchell and Liam Shiels and averaging a healthy 83 Fantasy points in the process. With an increased role and improvement across all facets of his game, I think it’s fair to assume that Worpel will reach an average of 90+ this season which puts him in premo forward territory. Priced at 66 with a scoring potential of 90 plus, the Worpedo can score big and generate you circa $200,000 in the process. What more would you want!? It would be much easier to pick Worpel if he was priced in the $300,000’s. Unfortunately, we’ve got to cough up $480,000 for his services. Paying the extra for Worpel could mean that we miss on a particular must have premo elsewhere like Macrae, Rory Laird, etc. So depending on your team’s set up, you may not have the room for the Worpedo. Yo-yo scoring. History suggest that young players struggle to maintain consistent scores thus there’s likely to be a few frustrations this season with Worpel’s output and earnings. In Worpel’s defence, forward premo’s like Buddy, Heeney, McClean, etc all have a poor week or two. Worpel won’t have a high ceiling. His highest score last season was just 105 and with a handball happy style of play as an in-and-under mid, I cant see him cracking multipke 110+ games. QUEEN – As a forward, Worpel is undoubtedly a value pick. We all know how hard it is to generate cash in Fantasy but Worpel can alleviate this problem all while scoring at a decent click. He’s fit and firing at this point of the year too and has ticked every box this preseason. Only the brave will take the plunge with Worpel but let me remind you that this game is about taking risks and daring to be different in order to get ahead. I reckon Worpel will suit your F3/F4 position depending on your team’s setup and for the record, he’s locked away in my Fantasy side barring injury. Get on the Worpel bandwagon, Jeppa is driving. What will Worpel average in 2019? Didn’t realise he had dpp lol, ill keep my eye on him. Well and truly could be the Taranto of 2019. Oh Jeppa why did you have to do this, I was trying to not go mid pricers haha. He is now sitting F4 for me. Do you think he and Nic Newman are good options for breakouts this year to hit 90avg? I know but Worpel should be looked at as a cashcow this year IMO albeit an expensive one. I currently have Worpel sitting at F4. Barring injury, he may stay there. Hoping for a bit of cash to be made early on before upgrading. There are so many mid pricers that are so tempting this year. As it stands right now I will be selecting Worpel. Seems ideally placed to pick up some of the slack in the absence of Mitchell. Priced at 66, with another pre-season behind him is hard to ignore. Was sheltered with lower time on ground stats towards the end of last year and has those early scores reducing his average. Towards the end of the year he had 75 (74% time of ground), 94 (77%), 76 (65%), 88 (68%). I’m keen on Newman too. Should get some benefit from the kick in scoring changes. Had 4 games under 75% TOG (out of not that many played) and should be playing a more fantasy friendly role at Carlton, as well as more TOG. Predicting injury to him? Surely he’s in their best 22. You don’t play that midfield clock in finals and not be a walk-up the next year. It’s a no from me. Every chance he’s this years Callum Mills (his second season).